For holidays in the beautiful Scottish Highlands & Lowlands. Castle Stalker view point near Appin showing the Isle of Lismore and the Morvern hills. minimum and maximum prices and a link to your website - as above. Ardabhaigh - Loch Awe, Kilchrenan Taynuilt Argyll. Beautifully secluded in well landscaped garden of over an acre, sleeping up to 7 in four bedrooms, with lounge, dining room, and with access to the decked patio from lounge and master bedroom. Situated near the shores of loch Awe, this property is ideally situated for Oban nearby, gateway to the Western Isles and as a centre for those attracted by the beauty and grandeur of the West highlands. It is ideal for a family holiday with easy access to the many activities available in the area. 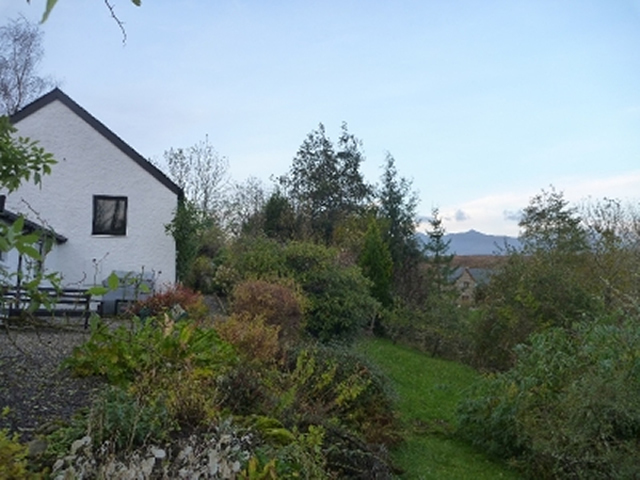 Oakbank - Kilchrenan: Comfortable, self-catering accommodation with spectacular views of Ben Cruachan and the surrounding hills on the outskirts of the village of Kilchrenan. The house is surrounded by a delightful cottage garden planted with spring bulbs, summer perennials and climbing roses. There are seating areas to the east, west and south of the house where coffee, lunch or afternoon tea can be enjoyed outside along with a backdrop of stunning views. Beyond the cottage garden is an informal wild woodland garden sloping down to the Kilchrenan Burn, flowing from nearby Loch Tromlee to Loch Awe a mile beyond the house. 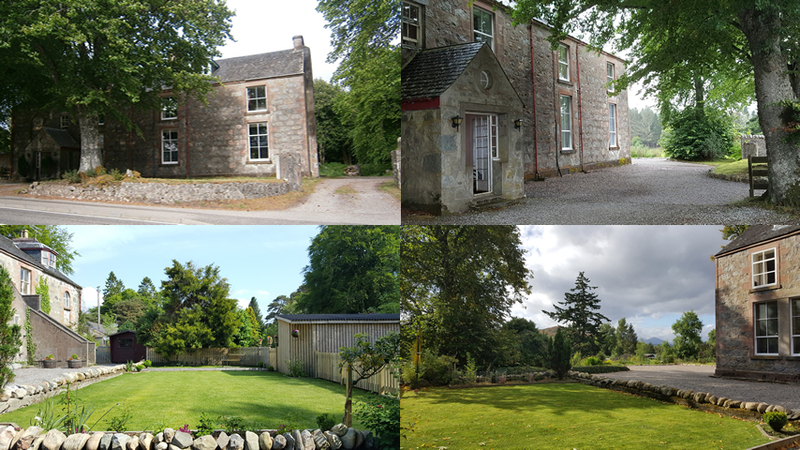 Collaig Byre - Offering idyllic luxury holiday accommodation. 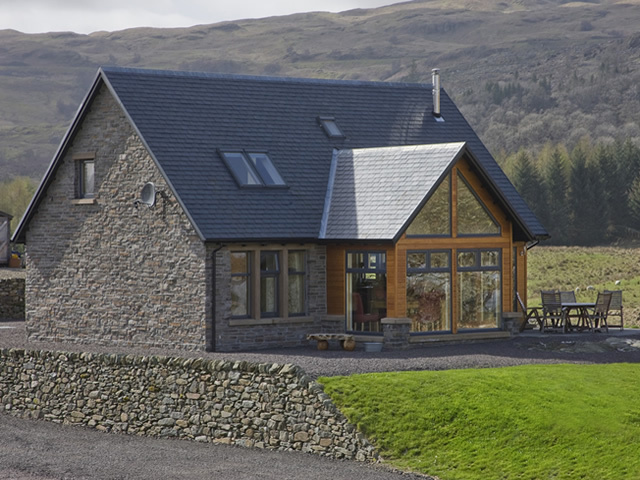 Located on the outskirts of the village of Kilchrenan above the banks of Loch Awe with clear views of the Ben Cruachan mountain range from all rooms, this outstanding conversion of a traditional Scottish Byre is the perfect setting for a special holiday. Attention to detail is evident throughout the Byre with luxury white company Egyptian cotton linen, extra large white company fluffy towels and Purdies of Argyll organic soaps and hand creams. Julie & Jamie will be delighted to assist you to make the most of your holiday in this most beautiful part of West Argyll. 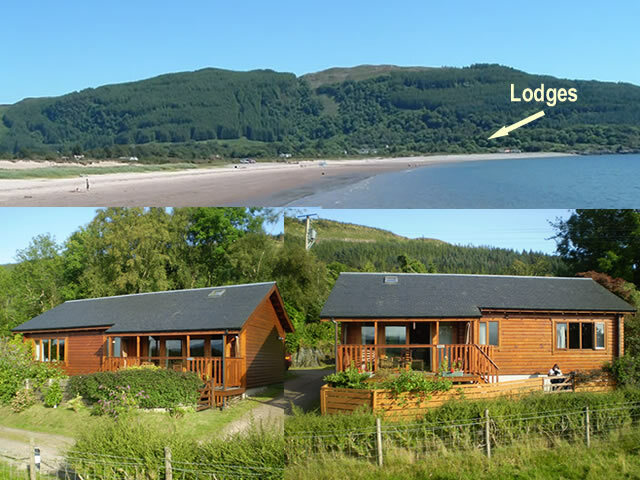 Port Selma Lodges - Benderloch, set in some of the most spectacular scenery in the Highlands. 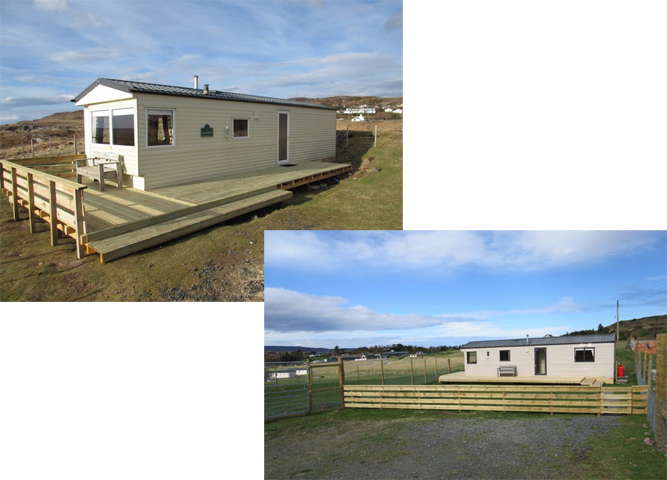 Wheelchair friendly luxury lodges with Full Disabled Access overlooking Ardmucknish Bay, 8 miles north of Oban. 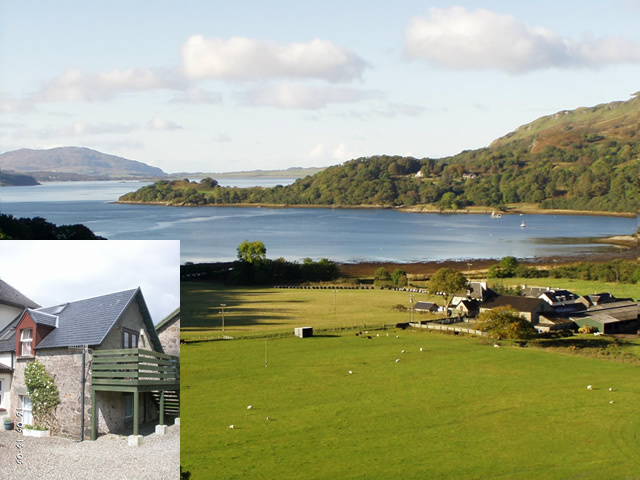 Set in quiet countryside 200 metres from the shore, these self-catering lodges overlook the hills of Morvern and spectacular sunsets over the Isle of Mull. They are set in a secluded location within two minutes walk from the small village of Benderloch, which has a large general store, post office, petrol station and restaurant. Old Dairy Cottage, Kilmelford - Situated at the head of Loch Melfort in an area of outstanding natural beauty, this cosy cottage has been sympathetically converted from the Melfort farm dairy. Two excellent restaurants are within walking distance. This is an excellent base for walking, birdwatching and water activities; or for touring Scotland’s impressive west coast. There are numerous attractions within easy reach, including the popular holiday resort of Oban with its regular ferry services to the islands of Mull, Iona, Lismore, Staffa, Islay and many others. 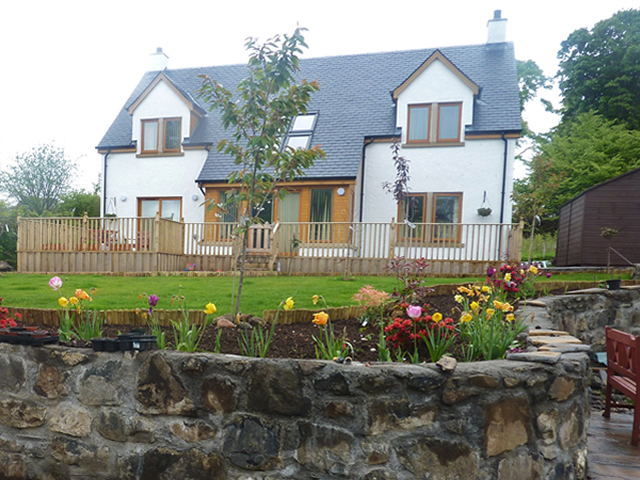 Hawthorn Cottage 4* rated self catering holiday cottage on Isle of Lewis. Sleeping 4 people. Hawthorn Cottage is close to sandy beaches, ideal for hillwalking and birdwatching. Salmon and sea trout fishing available close by. 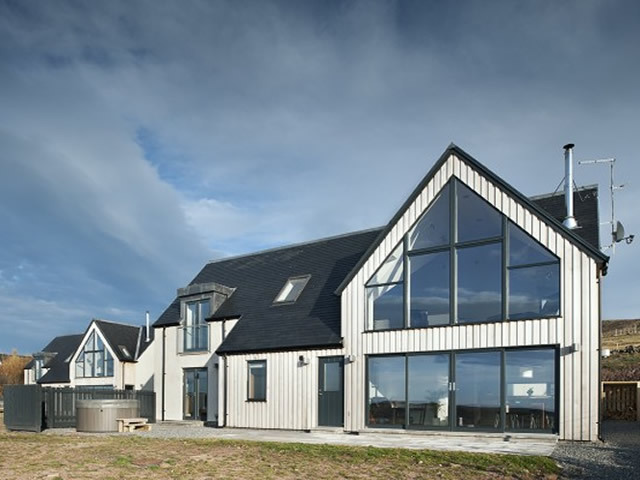 These cottages are situated on the Achiltibuie peninsula and have beautiful sea views overlooking the Summer Isles. Recently awarded a 5* the cottages offer luxury and comfort to your break, including a sauna and an outdoor hot tub. There is a shop,garage,pub/hotel all within walking distance. Aultbea Caravans - Fully services self catering caravans each situated on separate private crofts with panoramic views overlooking Loch Ewe. 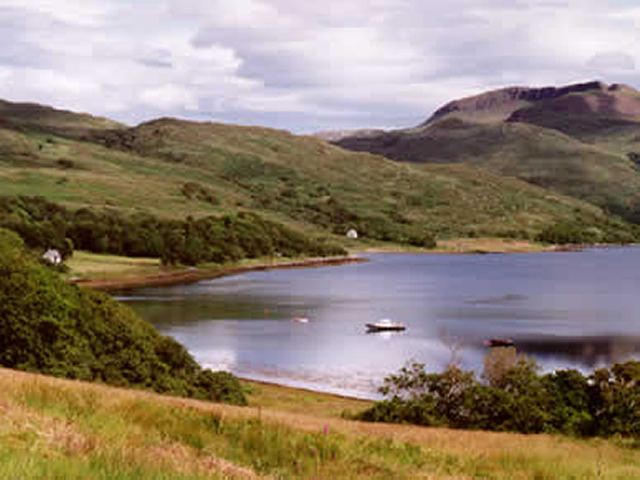 The area has many interesting walks, fishing is also very popular and available either Loch, River or Sea. Within 10 mile drive you will find some of the most spectacular beaches in the highlands. The caravans are fully equipped and all services are included in rent. All linen is provided apart from towels. 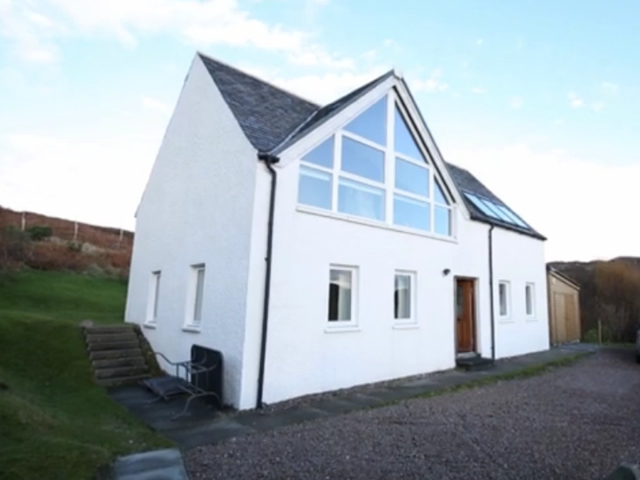 Wester Ross - Windyhill Cottage has wonderful views of the sea and the Summer Isles. This cottage has an outdoor hot tub to relax and enjoy the views. The property is light and airy and furnished to a very high standard. The photo's are the best way to describe the property. The cottage does get booked up early so do try and book as far ahead as possible to save disappointment. Taighali Apartment in Aultbea - It is situated on the shores of Loch Ewe and only a 5 min walk from a sandy beach. there is also a perfume studio and tearoom within walking distance about 15 mins. around about you have aswimming pool indoor and Inverewe gardens are about 8 miles in Poolewe, and a museum, golf course, and a leisure centre in the next village after that in Gairloch, plenty of walks round about and peace and quite. This is a one bedroom top floor Apartment with one double bed. Open plan sittingroom/kitchen,toilet and shower room. Fully equipped including bedding and towels, TV/DVD, oil central heating and water, kettle, toaster, microwave, fridge/freezer etc. A washing machine and tumble dryer are available for use. A £70 deposit is required and final payment due 4 weeks before your holiday begins. 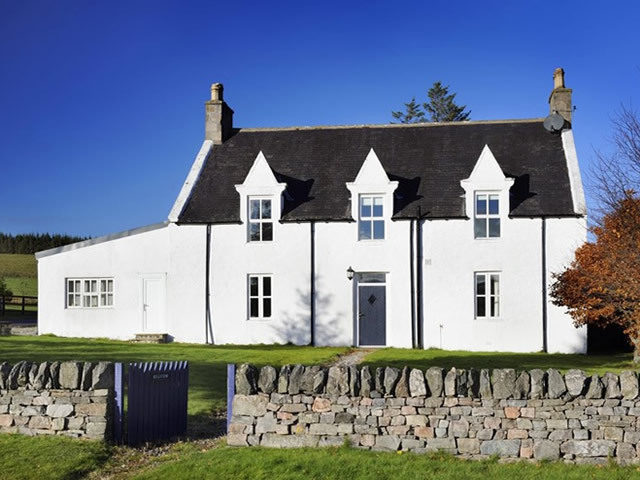 Hillview - Glenlivet, Cairngorms This luxurious cottage is located in the Cairngorms Mountain Park. It is an ideal base for get-togethers and to explore the surrounding area. There is an outdoor hot tub to enjoy whatever the weather. 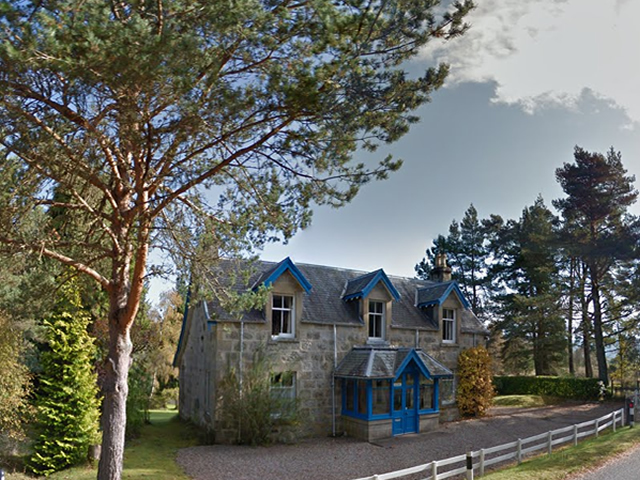 Aviemore is 30 minutes away and the scenic coast of Morayshire is only 20 minutes away. 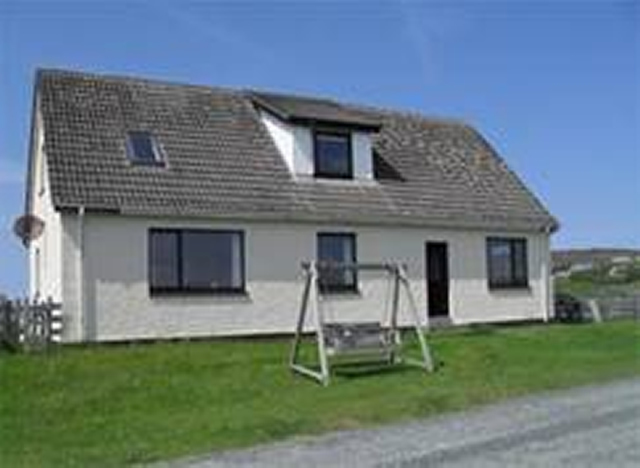 Craignay - Accommodation for eight people in four bedrooms. An ideal base from which to explore the Cairngorms National Park. The back garden is very well sheltered by a high hedge and surrounding woodland providing an enclosed and restful grass area. A back gate gives access to the surrounding woodland with walks to the village, the River Dulnain and the River Spey. There is ample parking space at the front of the house for four or more cars. The cottage has been recently modernised, while maintaining the traditional varnished pine panelling & doors and has wood burning stove. The Old Convent Holiday Apartments - Very well equipped self-catering holiday apartments, lovingly renovating to a very high standard keeping a lot of the original features but adding some little modern touches such as insulation, double glazing and central heating.We have two 1 bedroom apartments and one 2 bedroom apartment. Free WiFi. Fort Augustus is the gem of the Highlands and really has everything; not only is the village itself beautiful and interesting with the Caledonian Canal and locks running through the centre and pubs/restaurants, craft shops, visitor centres, grocery, post office, bank and petrol station all very close by (and only a ten minute walk from The Old Convent which is within the village limits). But being geographically the centre of the Highlands on the southern shores of Loch Ness makes all areas of the Highlands easily accessible. We are surrounded by beautiful scenery with an abundance of wildlife, the odd castle or two, amazing Munro’s and Corbetts for the more serious walker plus easy romantic (or not!) woodland walks on both sides of the village and don’t forget the famous Caledonian canal for a stroll. Lovely bicycle rides for all abilities (bicycle hire in the village), horse riding, fishing, kayaking, boat trips and a 9 hole golf course. 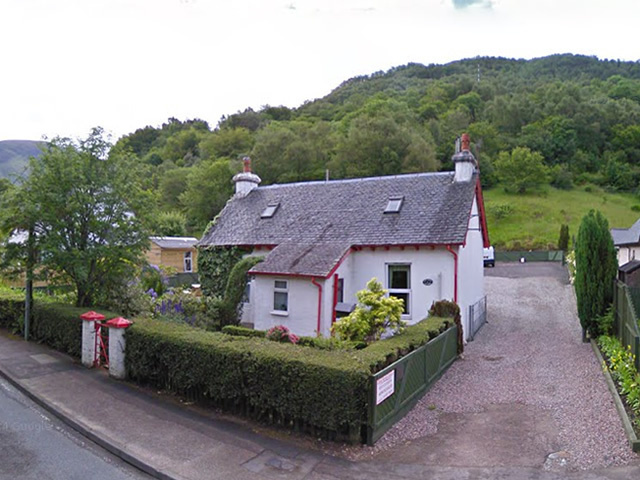 Springwell Cottage is situated at the entrance to Glen Nevis, the last cottage at the end of the West Highland Way, one of the few remaining original cottages in Glen Nevis. Renovated to a high standard the self catering cottage is fully equipped to make sure you have a comfortable and enjoyable stay. Sleeping 4-5 people in one double, one twin and one single bedroom. Open fire in lounge. We are in an area of great natural beauty renowned for its wild and dramatic scenery. Fort William is an ideal base for touring the Highlands of Scotland. 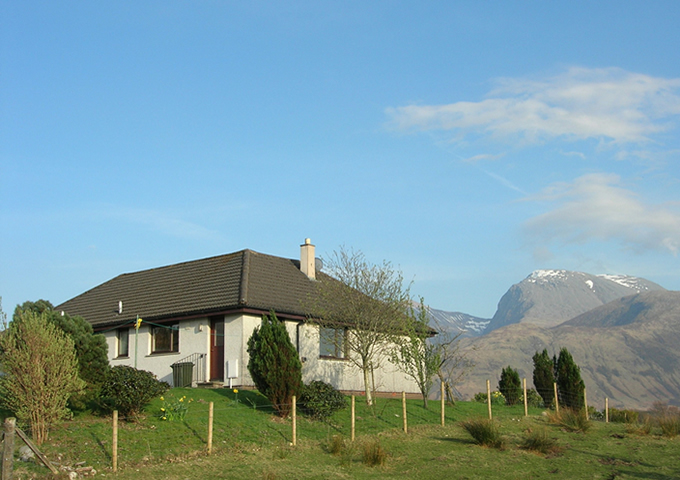 Lapwing Rise - self catering accommodation in Banavie, near Fort William. Situated just off "The Road to the Isles" on a working croft, but enclosed within its own grounds, this bright and spacious bungalow enjoys wonderful views across the Caledonian Canal to the Aonach Mor ski slopes, Ben Nevis (the highest mountain in the UK) and Glen Nevis. We have recently received a “Gold Award for Excellence” for customer satisfaction. 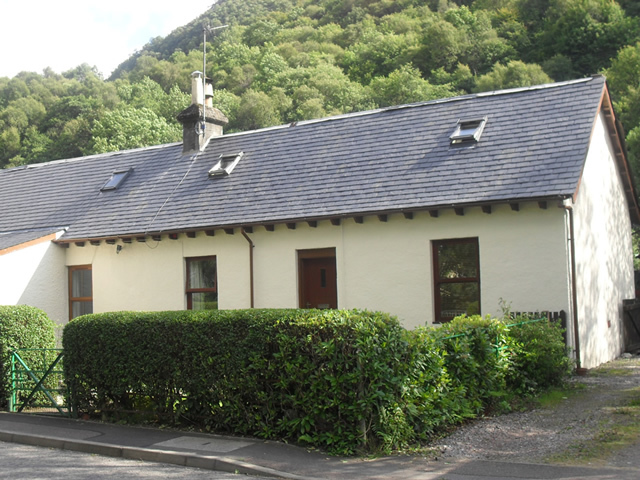 Glen Nevis Cottage - Detached traditional style cottage which sleeps 4 people in one double and one twin bedded room. It is located at the entrance to beautiful Glen Nevis close to the end of the West Highland Way at the foot of Ben Nevis, Britain's highest mountain. It is also within walking distance of various hotels, restaurants, entertainment and recreational facilities in Fort William. It is quarter of a mile to one of the local Hotels, Bar, Restaurant and Leisure centre. Three quarters of a mile to Fort William town centre. Banavie Caravan - 6 berth caravan sited on the family croft, close to the Caledonian Canal. 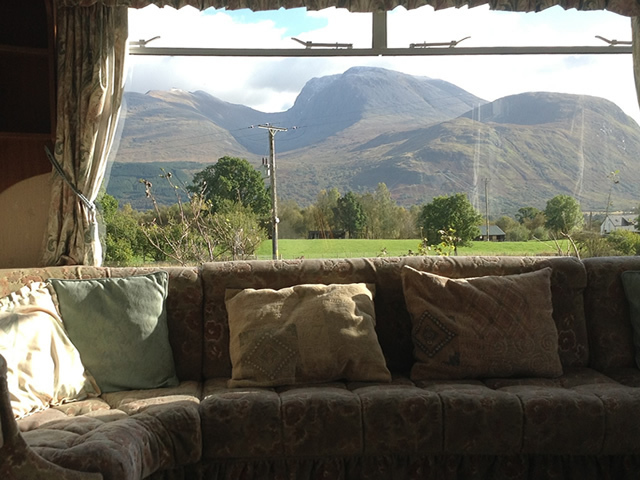 It has outstanding views of Ben Nevis and the ski range at Aonach Mor. Wonderfully peaceful location and very child friendly. It is 4 miles from the town of Fort William. The caravan has 3 bedrooms, shower/toilet, fully equipped kitchen with washing machine, iron and board, Television, Video/DVD. There is a lovely solid fuel effect stove to create a cosy feeling when it's cold. The Cart Barn is situated at Roshven in Moidart. Nestled between the mountains and the sea, the Cart Barn sits in a magical and beautiful part of the most western point of the U.K mainland. This unique, luxury self catering holiday accommodation is available for holiday rental throughout the year. The Cart Barn offers peace and tranquility in beautifully restored accomodation, set in 26 acres of landscaped and wild grounds. 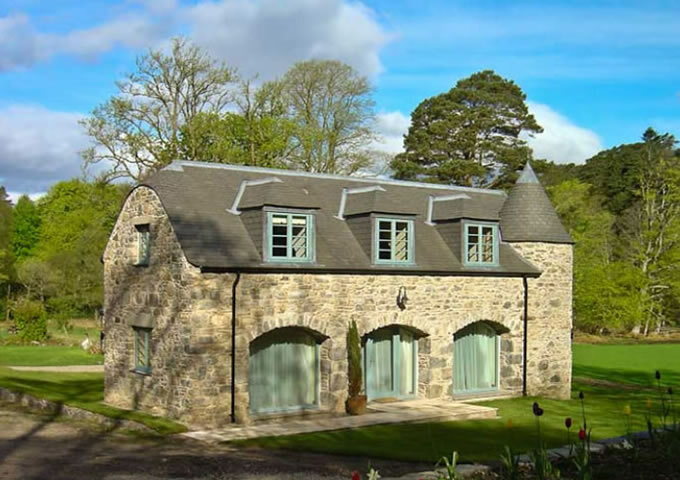 This stunning renovation of a Victorian steading was completed in 2009 as part of a small group of farm buildings which sit between mountains and the sea, some 400 metres from the bay at Roshven house. The very high standard of accommodation and finishes include oak floors, terracotta tiling, plush carpeting, fabulous bedding and furnishings throughout. 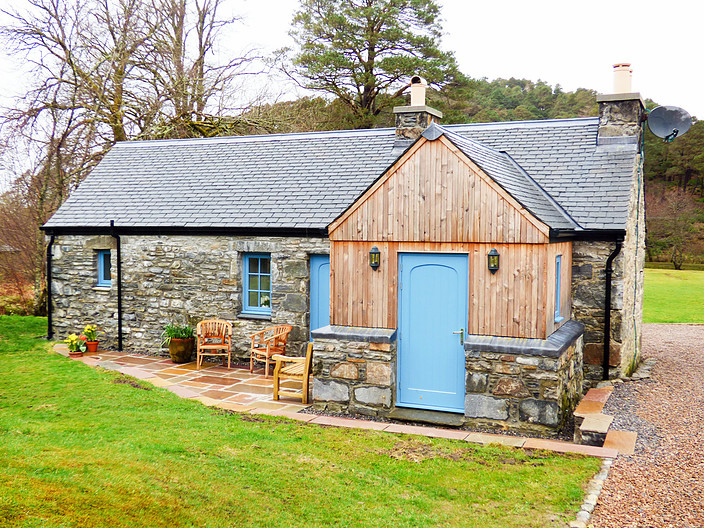 The Smiddy, a cosy coastal self catering for two in the Scottish Highlands and is situated at Roshven in Moidart. Nestled between the mountains and the sea, the Smiddy sits in a magical and beautiful part of the most western point of the U.K mainland. This unique, luxury self catering holiday accommodation is available for holiday rental throughout the year. 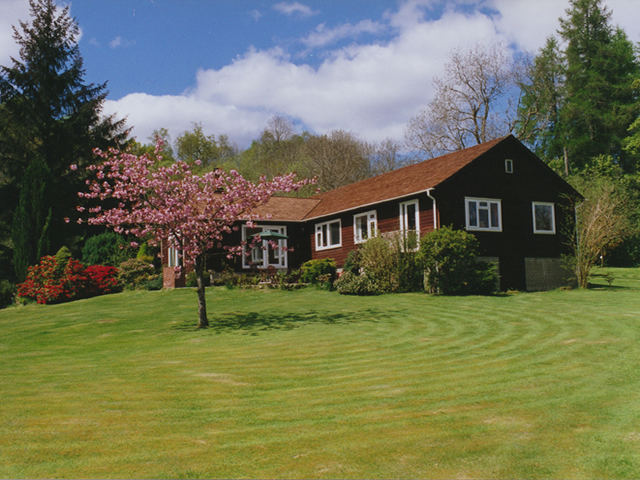 The Smiddy offers peace and tranquility, set in 26 acres of landscaped and wild grounds between mountains and the sea. Dhachaidh Mo Cridh - Tobermory, Isle of Mull : Dhachaidh Mo Cridh is situated in peaceful upper Tobermory. It is adjacent to the scenic 9 holes Golf Course and about 10 minutes comfortable walk down to the sea front and Tobermory centre. 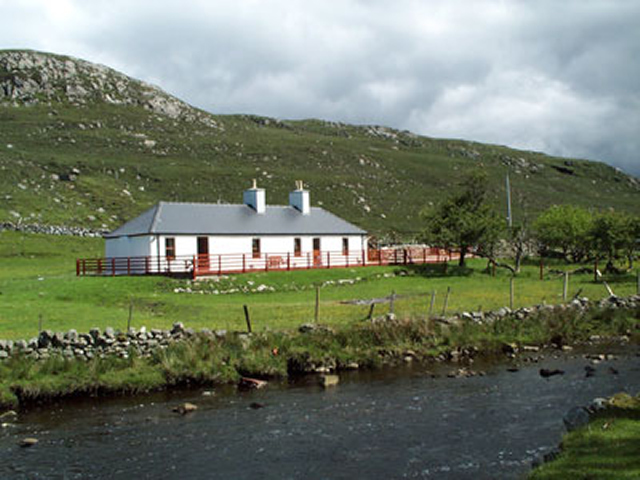 Dhachaidh Mo Cridh is bright and spacious, very comfortable well-equipped holiday home which includes free Wi-Fi. It is enclosed with its own fence and stone walls to offer relative seclusion. We have a well-stocked, good sized garden for our guests to enjoy. There is a private driveway with plenty of car parking space. Rahoy Estate - Morvern : Located in remote area of Morvern on Loch Teacuis. Rahoy is a paradise for anyone seeking peace and tranquility close to nature, and has a particular appeal to naturalists, geologists and those interested in the history of the highlands. It's a wonderful area for hill walking with spectacular views over Loch Sunart to the islands of Coll & Tiree. Great for canoeing & kayaking - explore our beautiful coastline with an abundance of seals, otters and birdlife. Come to the West Coast of Scotland and leave the rest of the world behind.